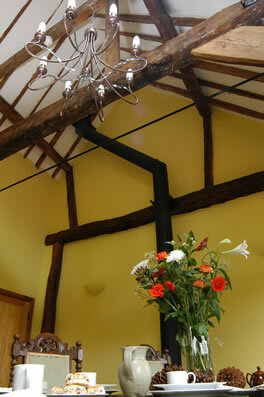 Hotel Alton Hampshire, Converted Barn. 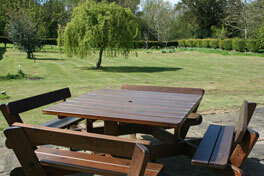 4 star award winning, Quality hotel accommodation in Holybourne, near Alton, Hants England. 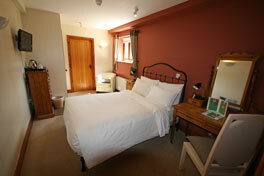 1 mile from Alton centre, main railway station and the watercress line steam train. 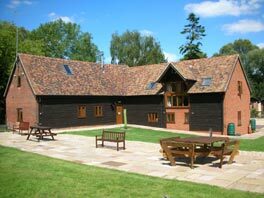 The Hotel accommodation is close to Farnham surrey, Basingstoke Hants, Petersfield, Farnborough, Aldershot, and Winchester Hampshire. 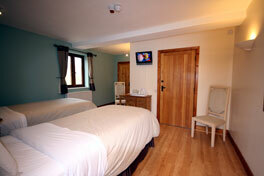 The Hotel is 40 minutes from Heathrow and Southampton airport or docks, 1 hour from Gatwick by car, and London Waterloo by train. 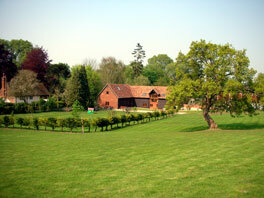 Our accommodation is set within our own grounds of eleven acres, entered at the bottom of a cul-de-sac road. 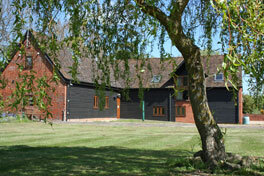 Walking to Alton town centre will take 15 to 20 minutes. 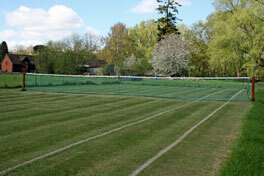 Patio and gardens available for guests use including grass tennis court in summer months. 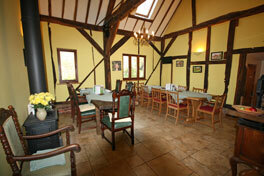 Accommodation Alton Hampshire Breakfast Room and Menu. 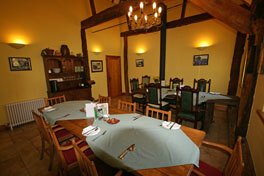 Relax in our impressive 17th century oak beamed breakfast room, with freshly cooked breakfast and evening snack menu. 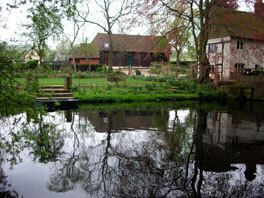 Plan visiting Jane Austen's house Chawton Hants, or Watercress Line steam railway from Alton to Alresford Hants. 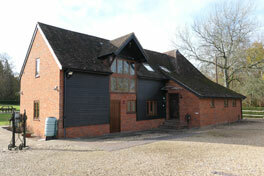 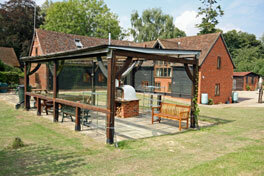 Visit Tourist Attractions for places near to bed & breakfast accommodation in Surrey & Hampshire. 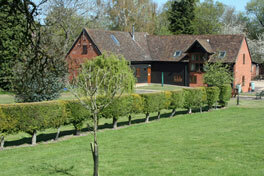 In the Autumn, we run residential cider making courses, and hire equipment out. 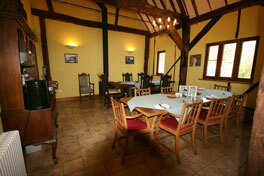 If you are interested in learning how to make cider or would like to make your own juice click Cider Making Courses and Fruit Juice Pressing for more information. 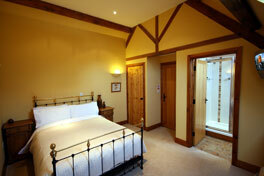 Hotel near Alton Hampshire, Bedrooms. 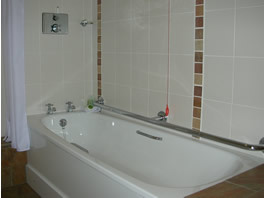 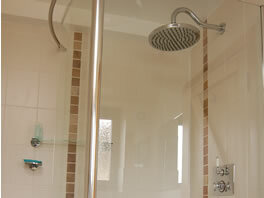 We have a total of four bedrooms, all en-suite, 1 superking double with bath & shower, 3 executive double rooms with shower. 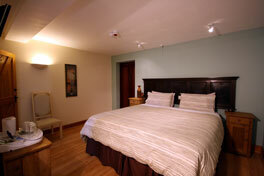 For more information on rooms and facilities click Bedrooms. 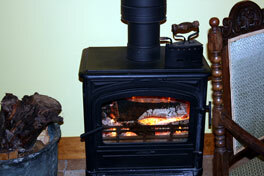 All bed and breakfast rooms are non-smoking. 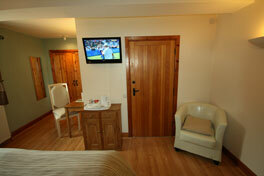 Free Wireless broadband available throughout hotel accommodation. 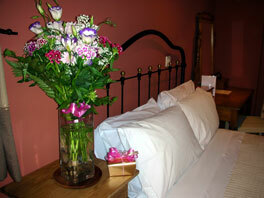 For Directions to Hotel click on B&B, Alton Hampshire directions page . 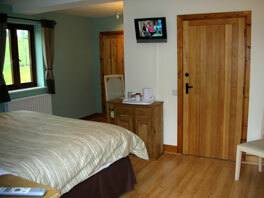 Or to print out a brochure including Directions to Hotel click on B&B, Alton Hampshire Brochure . 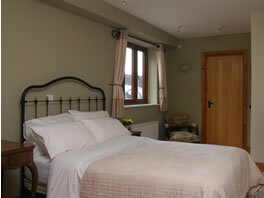 For bed and breakfast availability, or to book your stay, please telephone UK 01420 542908 or click BnB Availability. 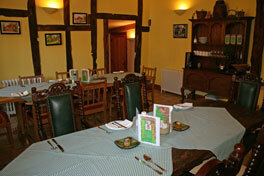 Click Restaurant & Pubs for information on Holybourne and places to eat and drink that we can recommend. 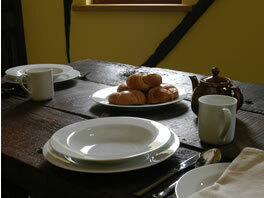 To find out what the bed and breakfast is doing to protect the environment click our eco friendly page. 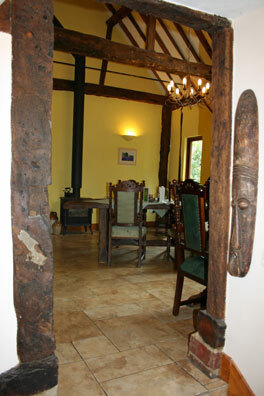 Bed and Breakfast cider making courses and Diary for local events.